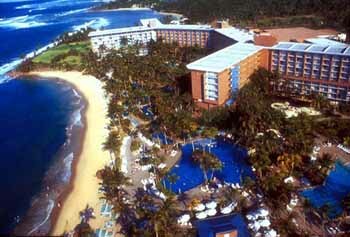 An elegant, oceanfront resort which is renowned for its golf and tennis facilities awaits your arrival in Puerto Rico. 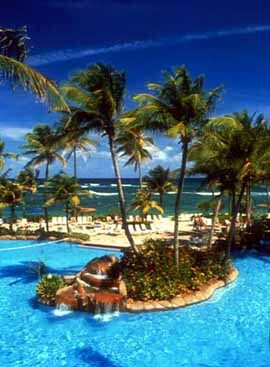 Only 22 miles west of the 500 year old town of Old San Juan - the Hyatt Regency Cerromar offers fantastic land and water sports and luxury accommodations in a Caribbean climate averaging 77 degrees Fahrenheit. Be it business and/or pleasure... your visit to Puerto Rico will be a memorable one. The original grounds of the Cerromar Resort in Puerto Rico were purchased for a grapefruit and coconut plantation by Dr. Alfred T. Livingston. In 1971 the resort was opened as a Rockefeller resort. In 1985 the Hyatt Regency acquired the Cerromar and began a $60 million renovations of the resort. Today the Hyatt Regency Cerromar Resort and Casino consists of a seven-story resort with 506 guest quarters including 1 Presidential Suite, 20 Suites, 245 non-smoking rooms, 5 A.D.A. accessible rooms, 56 Regency Club rooms and 63 Gold Passport rooms. The amenities in each room includes air conditioning, private balconies - some with ocean views, mini-bar, color cable television, in-room safe and direct dial telephone. Hotel services available include: baby-sitting, safe deposit boxes, laundry/valet, fully equipped dispensary, concierge, rollaway cribs, physician upon request, car rental and travel desk. The on-site shops include Sundries, beauty salon, barber shop, gift shop, men's and women's boutique, golf and tennis pro shops, beach and pool shop, jewelry and perfume counter and an art gallery. The Steak Company is an innovative Steak House set against the lush backdrop of gardens and waterfalls serving gigantic portions of classic meat cuts with a Caribbean flair. The Swan Cafe is a three-level outdoor cafe offering continental breakfast, luncheon buffets and dinner a la carte. The Zen Garden offers Asian cuisine and a Sushi Bar. The Golf Pro Shop and Bar serves a la carte lunch, the Golf Bohio and Bar serves snacks and beverages, the Beach Bohio Bar and Grill offers light lunch and beverages and the Beach and River Pool Bar serves refreshments on the beach and pool side. The restaurants, entertainment lounges and gift shop purchase checks may be charged at either the Cerromar Resort or the Hyatt Dorado Beach sister hotel. 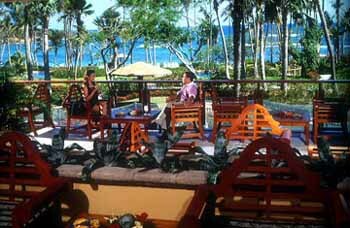 The Flamingo Bar is an open air bar overlooking the River Pool and ocean with live music twice weekly. 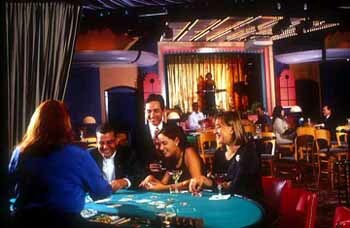 The casino is open nightly all year round and is styled after the lively Casino Copacabana at the Hyatt Regency Aruba Resort and features live entertainment. The River Pool is one of the world's longest freshwater swimming pools. This 1,776 foot long fantasy pool is 526 feet longer than the Empire State Building is high. The pool has 14 waterfalls, a subterranean hot tub and tropical landscaping that no other can match. Watersports include snorkeling, rafts, free-form water playground with swim-up bar, Olympic size swimming pool, off-property scuba diving and the Lisa Penfield Windsurfing School and Watersports Center at the Hyatt Dorado Beach. 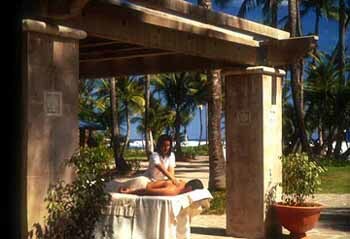 The Spa del Sol Health and Beauty Center is a full service fitness center and spa, offering everything from seaweed wraps to state-of-the-art exercise equipment. Aromatherapy Salt Glo and Aloe treatments are just a beginning. The two 18-holes Robert Trent Jones, Sr. championship golf courses, each par 72, putting green and practice range. Need one say more? There are ten all-weather tennis courts (under the direction of Peter Burwash International management), two lit for night play and one court has bleachers for exhibition matches. The finest convention and meeting facilities in the Caribbean are right here at the Hyatt Cerromar. Over 40,000 square feet of meeting space; up to 1,700 people capacity banquet style can be accommodated in the ballroom for a convention. There are 11 conference rooms and a grand Foyer, which can house approximately 60 exhibit booths with additional exhibit space available. A complete range of state-of-the-art audio-visual equipment and services is available.